We think about the massive global plastic problem, and we see the future emerging. Recycled being the new luxury. 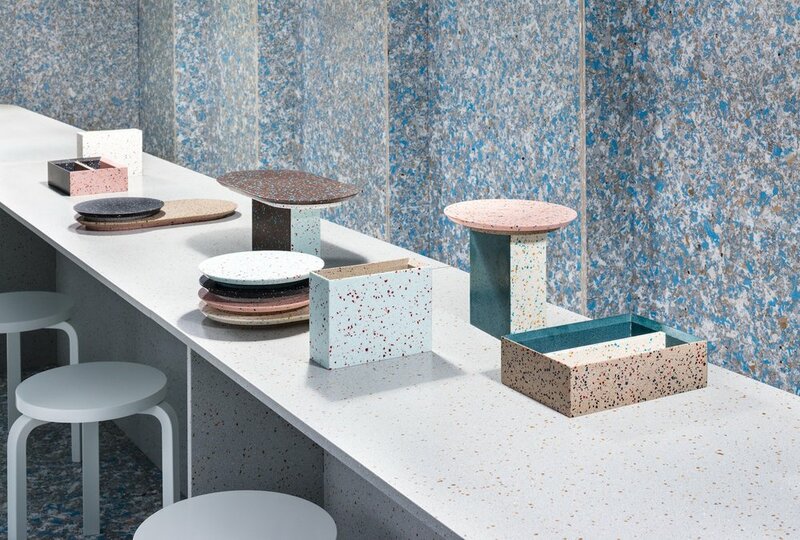 Based in serene coastal village of Naantali in Finland, DURAT manufactures beautiful modern surfaces and objects using post industrial waste plastics and is 100% recyclable. Durat has been pioneering a circular economy out of Finland for already 27 years. It is the only composite plastic material which contains waste plastic. Thanks to clever innovation and great design we not only create a lasting product, but one that also reduces some of the negative impacts on the environment. We use natural pigments in the DURAT Palace collection that are ground by a 17th century Dutch windmill. The very same pigments that were used by painters during the Dutch Golden Age. It is the only solid surface material in the world to use natural pigments.